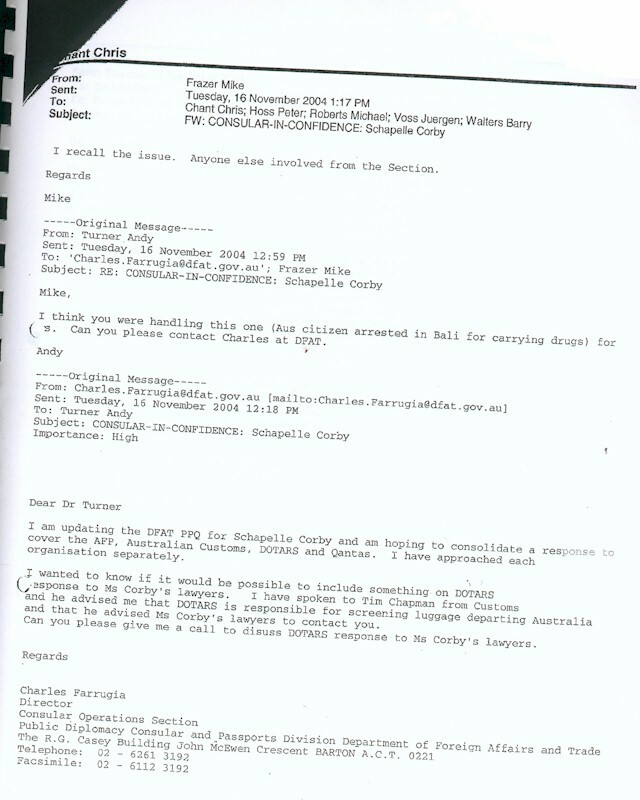 In July 2005, the Attorney-General's Department prepared a set of standard responses, intended to manage questions posed by the media or any other third party. This was an extensive effort, and was conducted largely for PR purposes, but it ensured that the public remained ignorant of what was really transpiring behind the scenes. The particular email below is a self explanatory example. 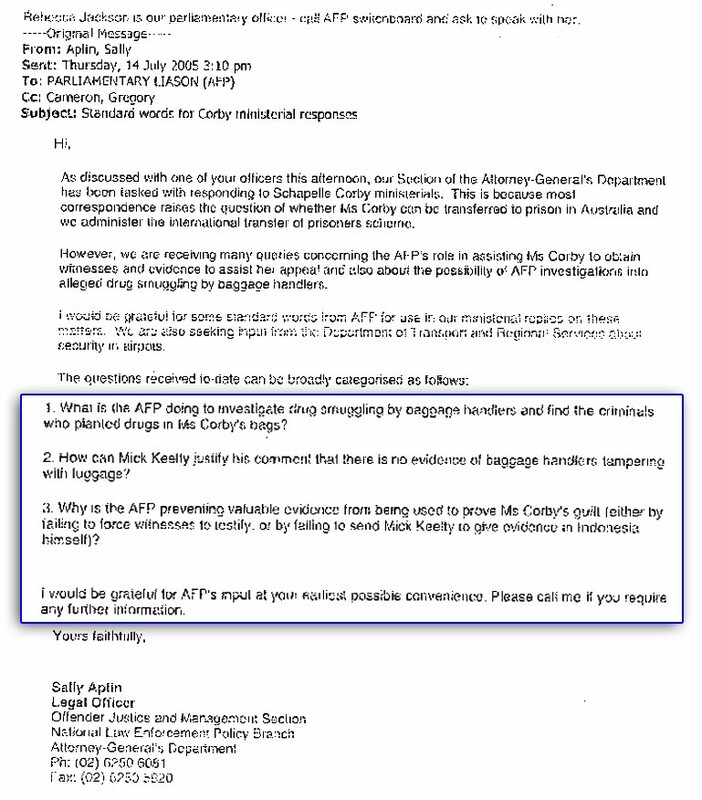 It suggests that responses should be prepared to some of the core questions being asked about the AFP. 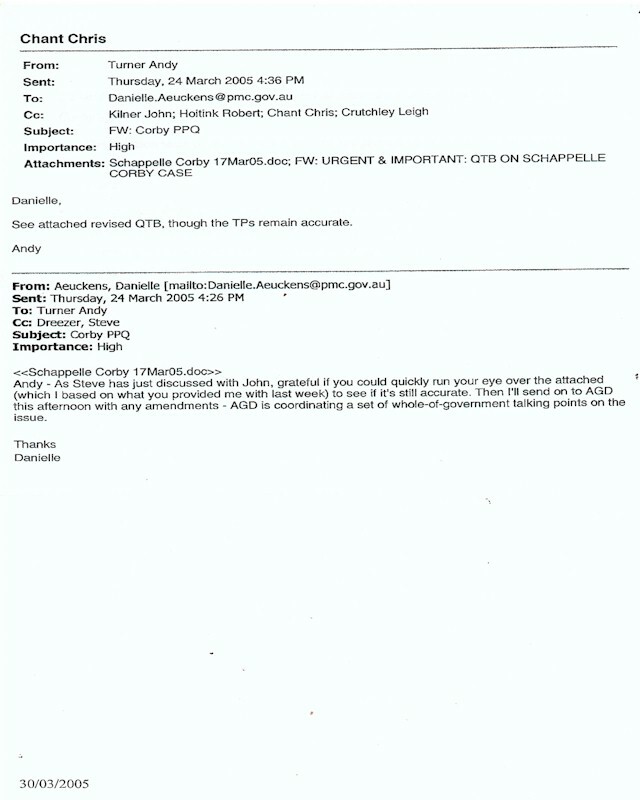 This particular suggestion was rebuffed, by Minister Ellison's Justice & Customs Department. It is interesting that this strict government wide regime even embraced Qantas, an apparently independent commercial entity.